The Bubble Gum strain is the perfect blend of 50% sativa and 50% indica. 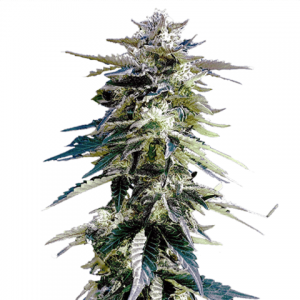 This feminized plant is famous for its sweet smell and powerful high. It contains a medium level of CBD, and a whopping 17% THC. And, it actually tastes like bubble gum! This award-winning hybrid comes with both sativa and indica effects. Consumers of Bubble Gum experience a unique high that blends your up and down euphoric feelings perfectly. It’s commonly recommended by physicians and medical marijuana dispensaries because of its soothing and healing powers. At first, the Bubble Gum strain will creep up on your like an indica. But, you will soon notice its sativa qualities. It’s the perfect strain of cannabis for smoking during late afternoons with friends. Prepare to be uplifted and ready to entertain and live in the moment. 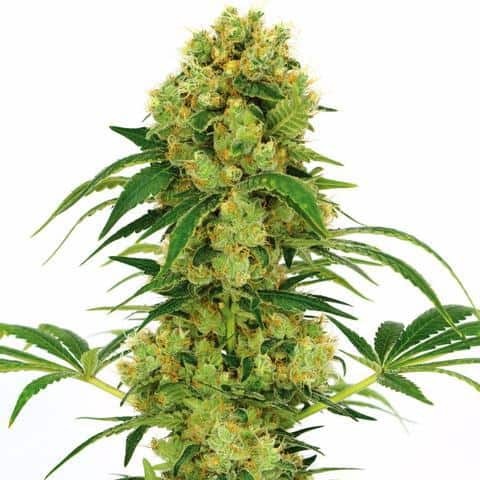 Bubble Gum cannabis seeds can be planted indoors or outdoors. However, they flourish best in average climates. They grow into high yielding plants, which take about 64 days to flower. Even first-time cannabis growers find the Bubble Gum strain simple to cultivate. This is even more true for seasoned growers. However, this strain is quite sensitive to rot and molds. So, when growing Bubble Gum outdoors, make sure your grow site is kept dry and sheltered. 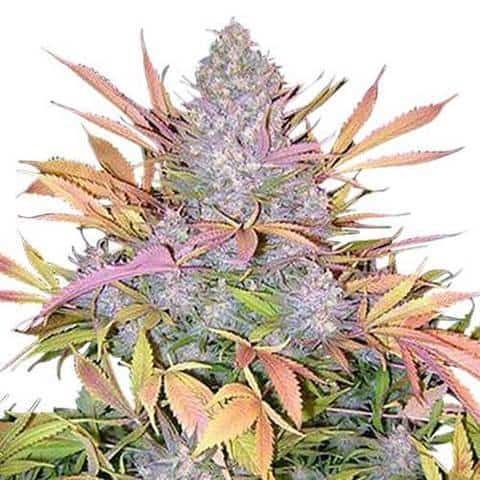 Growing Bubble Gum cannabis indoors should yield you about 16 ounces of usable marijuana. It takes this strain about 8-9 weeks to completely flower. That’s when it will be ready for harvesting. When growing the Bubble Gum strain of marijuana outdoors, you need to optimize the environment. It needs to stay dry and warm and receive a lot of sunshine for this strain to flourish. Your crops should be ready for harvesting somewhere between mid to late October. Expect to yield about 14 ounces of usable cannabis per plant. 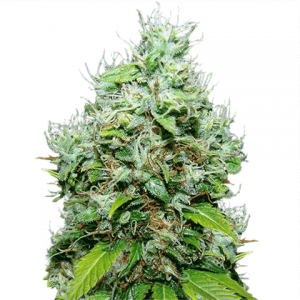 Bubble Gum is an award-winning cannabis strain originally created in the 1970s in Indiana. From there, it was transported to New England and eventually went on to Holland. And, that’s where it gained its worldwide popularity. In 1994, this strain was the winner of two different Cannabis Cup awards. It also took 2nd place at these same awards in 1995 and 1999. Most of its popularity is due to its smell, which is that of sweet candy or bubble gum, as well as its sweet effects. The Bubble Gum hybrid strain of marijuana gives you a well-balanced high. Its full-bodied effects will leave you feeling invigorated and relaxed. You will find yourself feeling uplifted, enjoying a positive frame of mind. Prepare yourself for a fit of giggles while sharing time with your friends. Bubble Gum is an indica-sativa that brings out your happy feelings. Any negative thoughts swimming around in your head will quickly disappear. The euphoria is quite gentle, yet it leaves you feeling like you’re floating on Cloud 9. When your high comes down, you are left feeling stress-free and relaxed. This cannabis strain most certainly causes a big case of the munchies. It increases your appetite and gives you a couch-potato euphoria. Prepare to find yourself chilling on the couch ingesting any and all the food you can find. Bubble Gum cannabis will have you feeling happy, carefree and uplifted. The Bubble Gum strain of cannabis will numb your body, without numbing your mind. It leaves you feeling creative, alert and focused. Some users say it makes them feel all tingly as if their muscles are being massaged gently. For beginner smokers, the Bubble Gum strain of cannabis may be a bit too potent to handle. Although it’s sweet, you may suffer from mild paranoia, although rare. This could lead to feelings of discomfort and anxiousness, especially if you already suffer from these issues. As with many marijuana strains, Bubble Gum may cause cotton mouth and a case of dry eyes. Some smokers of this strain have reported feeling a bit dizzy, although these cases are rare. Because of its strong indica and sativa effects, this hybrid may also cause you to become confused. Both physicians and medical cannabis dispensaries recommend Bubble Gum for medicinal purposes. As a powerful relaxant, it has been proven to be an effective alternative to prescription drugs for patients suffering from chronic stress. It calms the mind, making it an effective way to treat anxiety. This strain has been reported by consumers to help ease pain in the lower back muscles and eliminating muscle spasms altogether. Bubble Gum comes highly recommended by consumers for daytime use. Bubble Gum has gained worldwide notoriety because of its pleasantly sweet smell. Its fragrant presence is so tantalizing, it almost makes you want to eat the plant raw. This cannabis strain aroma fills the room with earthiness and flowery notes. You’ll find your mouth watering as the smell of sweet candy surrounds you. This marijuana strain features flavors that are uniquely blended to do its name justice. It actually tastes like bubble gum! You’ll love the mixture of this hybrid’s flavors, which include a collection of fruits. Bubble Gum smoke tastes like berries, and it’s quite creamy. The aftertaste is tropical and unique. It’s the perfect strain of cannabis for smokers who like fruity, sweet varieties.